Joseph Carlos Berenguer is the owner and operator of Oasis by JCB Contracting Inc. and is York Region & Georgina Regions Plumber! Joseph is Alumni of George Brown College of Applied Arts and Technology, Toronto, Ontario. His education included specialization in: Plumbing Systems, Piping Systems, Trade Calculations, Trade Documentation, Theory, Practical Applications, Drainage, Waste, Vents and Sewage Disposal Systems, Hydronic Heating / Cooling Systems, Pumps, Maintenance and Repairs, Water Service, Distribution, Fixtures, Appliances and Welding. Fully licensed, Joseph’s experience and expertise in Plumbing Contracting is widespread along all sectors: Residential Service, Commercial, ICI and High-Rise. He is also very experienced with Newmarket and York Region's plumbing needs. 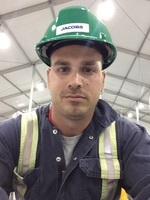 As owner and operator of Oasis by JCB Contracting Inc., Joseph translates his philosophy of leading edge and high quality products and services to his associates. Joseph is known to listen to his clients needs and propose practical and affordable solutions to meet them. Call your Newmarket and York Region plumber today! Specialzing In: Newmarket Plumbing, Aurora Plumbing, Markham Plumbing, Richmond Hill Plumbing, King City Plumbing.